Inspired by our hometown of Nashville, TN, this guitar strap combines sturdy cotton with classic leather end-tabs, rivets, a cotton backing, and vintage-style antique brass hardware. Inspired by our hometown of Nashville, TN, this guitar strap combines sturdy cotton with classic leather end-tabs, rivets, a cotton backing, and vintage-style antique brass hardware. 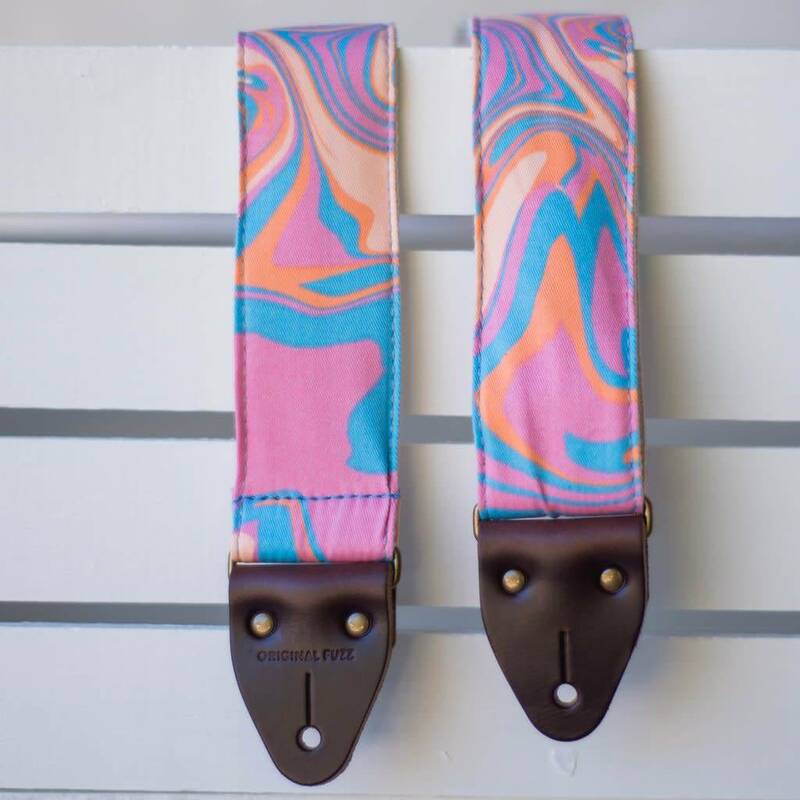 This strap features a groovy sherbert, pink and baby blue design and is named after Electric Avenue—just a hop, skip and boogie on down to Shelby Bottoms Nature Center. 2" wide / adjusts up to 58" long.